COLUMBUS—State Rep. Riordan McClain (R-Upper Sandusky) this week applauded the passage of Substitute Senate Bill 226, which creates an annual sales tax-exemption holiday over a three-day period each August. The tax holiday applies to clothing, school supplies and instructional materials. The General Assembly has passed bills approving one-time tax holidays in August each year since 2015. Sub. S.B. 226 makes that three-day period a permanent occurrence, and additionally authorizes educational service centers (ESCs) to levy a property tax in order to fund school safety, security and mental health services. This will occur through a county school financing district, which is a taxing unit designed to levy taxes for the benefit of ESC-member districts. The tax holiday will begin every first Friday of August. The bill specifically applies to clothing of $75 or less per item, and excludes specific items such as trade uniforms and clothing articles used as protective equipment, as well as those that are required for sports. School supplies that are $20 or less per item are eligible, with specific guidelines listed within the bill. Consumers may purchase any number of items. Ohio is one of 19 states in the U.S. to create a sales tax exemption period. 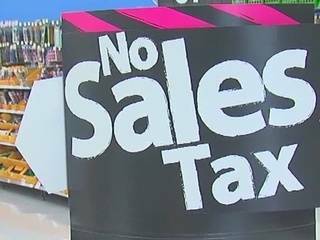 No states bordering Ohio have passed sales tax holiday legislation. With the House’s passage, Senate Bill 226 now heads back to the Ohio Senate for a concurrence vote.